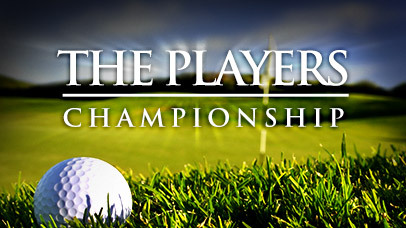 The Players Championship gets underway on Thursday and it is the unofficial fifth major. As you’d expect the field is an extremely strong one and Jordan Spieth and Rory McIlroy are at the front of the betting. Two time Players Champion Tiger Woods makes his first appearance since the Masters although I won’t be backing Tiger with little form. TPC Sawgrass is one of my favourite courses used on the PGA Tour, it’s a par 72 that plays a testing 7,215 yards. This is one of the few courses which doesn’t favour the bombers, driving accuracy has been more important that distance over the years. Driving accuracy maybe important but this week’s crucial stat is strokes gained from tee to green (SGTG). Each of the last five winners around TPC Sawgrass finished the year they won ranked 45th or better in in the strokes gained from tee to green statistic, this is because Sawgrass requires a solid all-around game. One final statistic which should be considered this week is par three performance. Four of the last five winners of this event were ranked 37th or better in the par three performance statistic, this is because all four of the par 3’s are relatively difficult. Justin Rose – Justin Rose had a slow start to the season but a second place finish in The Masters and a victory a couple of weeks later suggests that Justin is in top form. Rose has won seven times on the PGA tour and appears to be a very generous price at 22/1. TPC Sawgrass suits Rose’s game and the Englishman finished 4th in this event last year which proves that this is the case. I’ve mentioned above that the strokes gained from tee to green statistic is one to look out for this week and Justin Rose ranked 4th on the PGA Tour in this stat last season. Louis Oosthuizen – Louis Oosthuizen is my favourite bet of the week at an excellent price of 55/1. Louis comes into this week in great form, he finished 19th in the Masters and tied for seventh in the RBC Heritage the following week. In the WGC Cadillac Matchplay last week Oosthuizen finished in 5th position, he made an impressive 14 birdies in his opening three rounds, this suggests his game is in very good shape ahead of this week. In 2013 Oosthuizen finished 19th in this event which proves he can perform well around TPC Sawgrass. Finally it should be noted that Louis is ranked eighth in the strokes gained from tee to green statistic which is a stat which will hopefully help us find the winner this week. Brooks Koepka – My final selection of the week is the talented Brooks Koepka. He won on the PGA Tour for the first time this year and 80/1 is an extremely generous price in my opinion. Brooks played well last week in the WGC Matchplay Championship, thus proves that his game is in good shape which is crucial ahead of this week. Admittedly Brooks has never played in this event before but the course should suit his game. He’s ranked 27th this season in the strokes gained from tee to greens statistic and as I’ve mentioned above this is beneficial. Finally Koepka is a very good player of the par 4’s and this is imperative this week. The American is ranked 22nd in the par 4 scoring average statistic this season.